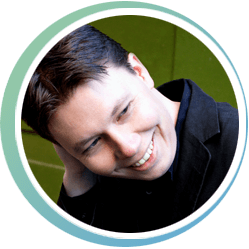 Ola Gjeilo (pronounced Yay-lo) was born in Norway in 1978, and moved to New York in 2001 to begin his composition studies at the Juilliard School, from which he graduated with a Master’s Degree in ’06, after two years at the Royal College of Music in London. Ola’s published concert works are performed all over the world, and his debut recording as a pianist-composer, the lyrical crossover album Stone Rose, was released to critical acclaim in 2007 on the 2L label. He especially enjoys writing music for choir, orchestra/symphonic winds, and the piano, while as a pianist, his main passion is improvisation, either solo or over his own ensemble works. Presently a full-time composer based in New York City, Ola is also very interested in film, and his style draws much inspiration from movies and cinematic music. Ola’s choral and band scores are distributed by Hal Leonard, and Stone Rose is available at amazon.com and iTunes. For more information, please visit www.olagjeilo.com. high voice, Difficulty : 3, piano, 3-5 min. high voice, Difficulty : 4, piano, 3-5 min. high voice, Difficulty : 4, piano, 5-10 min.